Cathy Segal-Garcia has been a fixture on the LA jazz scene for many years, as both a singer/songwriter and as an educator. 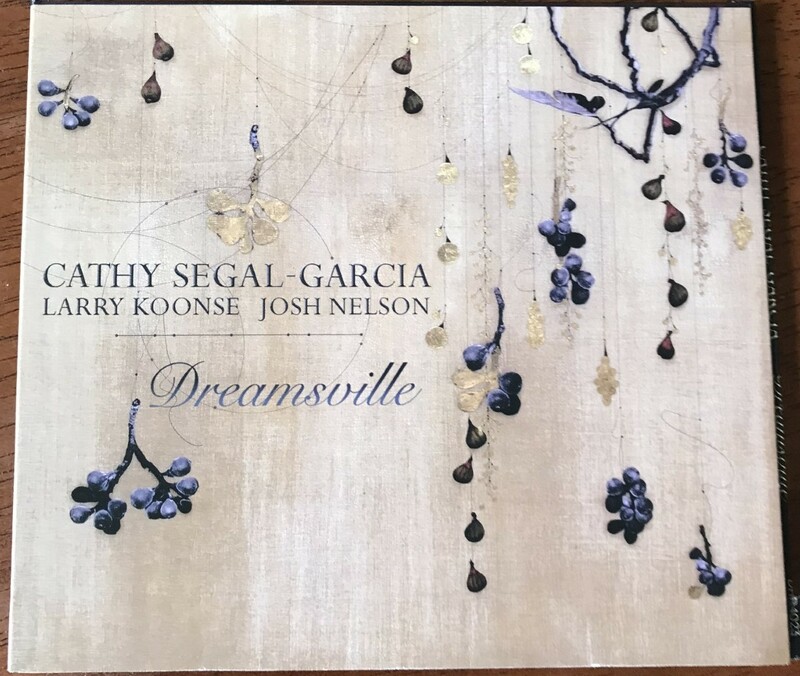 Dreamsville is her twelfth album as a leader--she's enlisted the help of guitarist Larry Koonse and pianist Josh Nelson to create this intimate mix of standards and original compositions that veer a bit from the norm. Perhaps that is due to Segal-Garcia's voice, which is complex and rich and carries a touch of sadness to every song--or, perhaps, to every note. She's adding something specific to all eleven of these tracks, a feeling that these songs are meant for those who have just crawled out from under life and have dusted themselves off and are ready for more of the same because it wasn't really that bad. It's a weariness, it's true, but Segal-Garcia uses her deep and expressive voice to suggest more--not hope, not optimism, but perhaps that faith in our ability to rebound. Indeed, this album is not your garden-variety female jazz vocal album, nor is it meant to be. The musical interplay between Koonse and Nelson is lush and melodic and can lull you into blankness, but it's the singer's words, so direct and infused with meaning, that compel you to attention, to wondering what really happened in her past. That's how convincing she is at this chosen role. The mood is the star here, the dark and shadowy world this trio creates consistently from song to song. Even when these three really stretch by performing an absolutely gorgeous take on Scarlatti's Sonata in B minor L.33, it's so connected to the rest of the album that its inclusion avoids novelty and feels downright necessary. These moods are easy to sustain, I believe, because the trio never really uses one musical genre as a springboard over another. 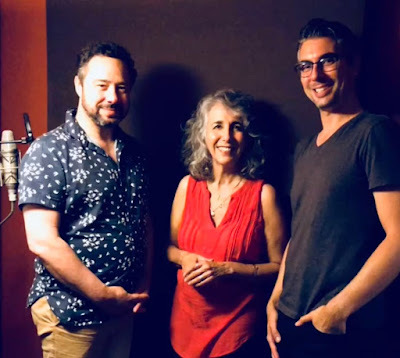 There are certainly jazz elements, and obviously classical ones, but Dreamsville reaches into those dark corners and runs on that hard-to-categorize energy from beginning to end. How does this translate into the average audiophile and his love for well-recorded female voice? Well, Dreamsville is clearly that, a great recording with plenty of space for deep thinking. But this isn't the kind of music you want to absorb passively, as an antidote to a long and difficult day. This album is sad, and it might demand more attention from you. It might trouble you. But the best music always does. 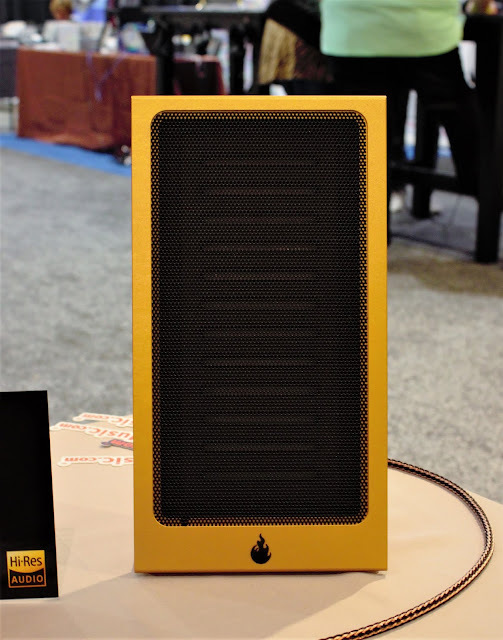 Another show report from AXPONA 2019 for Part-Time Audiophile...this one on the panoramic systems from BorderPatrol, Volti Audio and Triode Wire Labs. You can read it here. 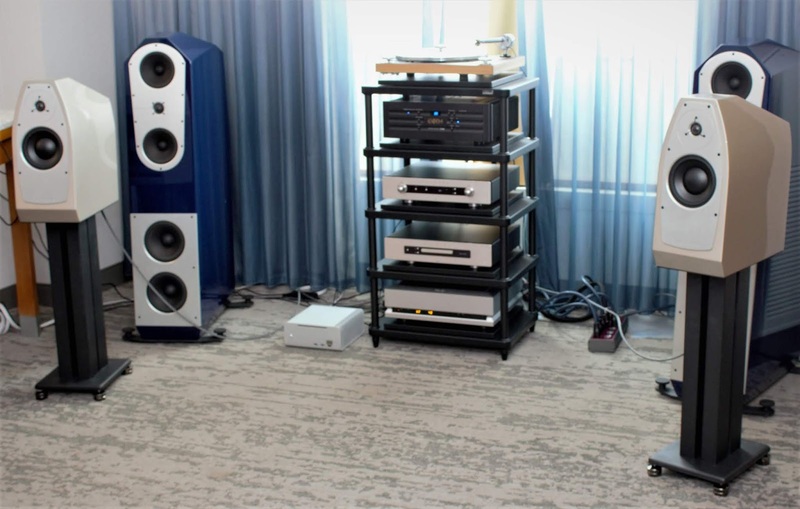 My latest AXPONA 2019 show report for Part-Time Audiophile is now live. This one covers a new desktop computer audio system that sounded impressive. You can read it here. My latest show report from AXPONA 2019 is now live at Part-Time Audiophile. This one is centered around the wonderful new EgglestonWorks Nico EVO speakers. You can read it here. 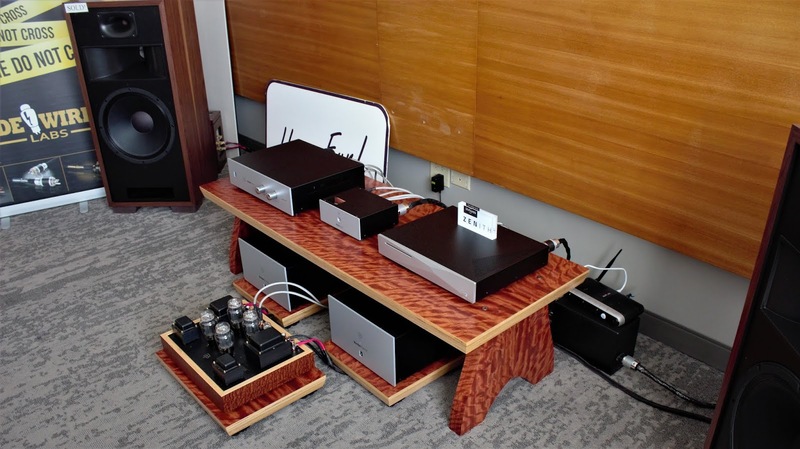 My latest show report from AXPONA 2019 is now live at Part-Time Audiophile. 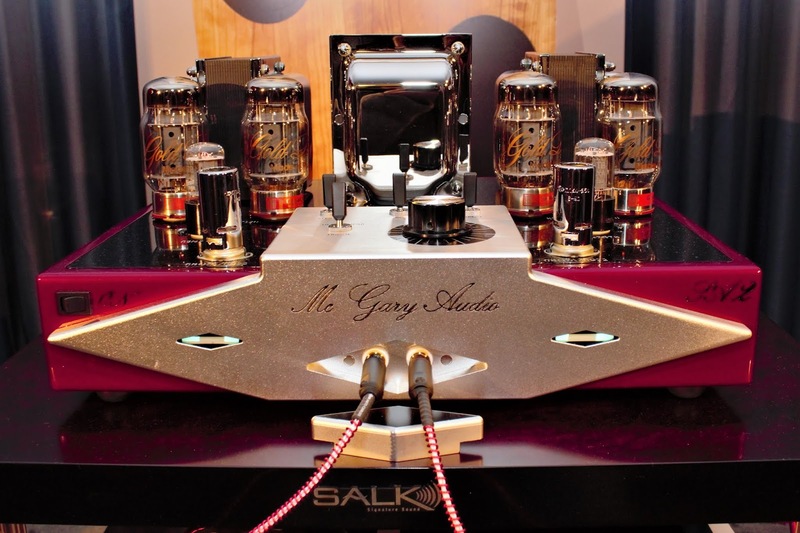 This one covers McGary Audio and Salk Sound, two relatively unfamiliar brands that made a huge impression on me. You can read it here. I've been on the road for the last couple of weeks, first to a wedding in Honolulu that I dubbed the Blood Diamond Wedding since it was absolutely beautiful and perfect and ambitious in so many ways and yet some lives may have been lost. (The Cecil B. DeMille joke in Blazing Saddles is my favorite.) Then I flew all the way back to JFK, the new non-stop from NYC to Honolulu, drove down to Connecticut to pick up Lucy, drove back to Rochester, got up the next morning and drove to Chicago and covered the AXPONA 2019. Now I am home, sick as a dog with a chest cold. Is this the Honoluluflu, or is it just another trade show virus? At any rate, I've rested the last couple of days and wasn't really listening to music--my head was too congested and nothing sounded right. Today, something sounded really right, and it's this new CD from bassist Jay Anderson called Deepscape. This is a sparse work, mostly made up from improvisations between Anderson, sax and clarinet player Billy Drewes, cornet player Kirk Knuffke, drummer Matt Wilson, harmonium player Frank Kimbrough and percussionist Rogerio Boccato. This is a diverse world up on stage, a flexible crew who seem to have a deep knowledge of various jazz sub-genres, and yet they create vast amounts of space between the performances so that your mind wanders from musician to musician, catching up on all the conversations that are going on at the same time. 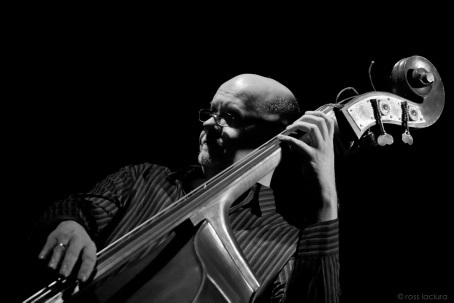 Anderson has been a jazz mainstay since the '90s, performing with the Woody Herman Orchestra, Toots Thielemans, Lee Konitz and wait a minute...Bowie and Chaka Khan and Zappa and Tom Waits and even Celine Dion? Wow. He includes a couple of Keith Jarrett jams that set up the structure throughout, long and singular improvisations that can only be heard right here, this way. He builds quartets and quintets and then tears them down and starts again with a simple duet. It's an approach that sends you back on your heels once or twice because it sounds so new and familiar at the same time, but much of the time the music seems to be waiting for another element to join, but that element doesn't arrive because the music is set up to observe the absence of the one. That's a world apart from needing something more. This doesn't. That's digging deep into these improvisations, which is why Deepscape can be an intellectual exercise as much as an hour of sparkling, dynamic jazz. There are some brash ideas here, floating in a sea of math. You might find yourself thinking too much about Deepscape while you're listening to it. It gives you plenty to chew on in terms of time signatures and the mysteriously austere arrangements. That doesn't mean you won't get swept away by Anderson and his persistently imaginative bass playing--and his strangely new style of jazz improv. My latest show report from AXPONA 2019 is now live at Part-Time Audiophile. This one's about Fern & Roby and LTA, two brands that are new to me but have totally impressed me. You can read it here.